Almost a year ago, Kim Kardashian became a mother the second time: the model gave birth to her son Saint. And now it became clear that Kim is preparing to become a mother again. Kardashian is going to please her spouse with the third child. However, Kim is not going to o it by herself, but with the help of a surrogate mother. The American star shared her plans for the future motherhood in series of the TV show “Keeping Up With The Kardashians”. Kim made a statement which shocked her entire family. I have no other way, – said the brunette. Kanye is always asking me about the third child lately. “Oh, so you’re probably already calculating the fertile days?” asked her sister Chloe. In response Kim reminded her sister of how hard the last childbirth was: she had serious health problems. So Kim said that the third child will be delivered by a surrogate mother. “They don’t give you any painkillers, and I can tell you: it was very painful. Perhaps, even more painful than the childbirth. But I did it!” she said. Now Kim does not want to risk again: it is not certain if the third pregnancy would be safe for her or for the baby. So she wants to trust its birth to a surrogate mother. Earlier in an interview, Kim told me that she had already endured two surgeries on the uterus to be able to get pregnant again. And when, finally, it happened and the pregnancy test showed two bands, doctors warned that this could be her last pregnancy. 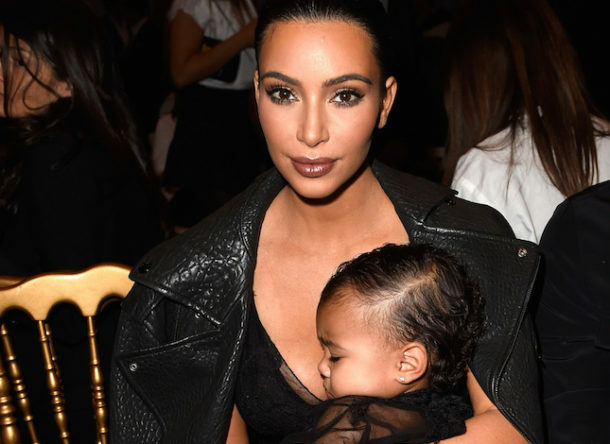 However, for the idea of surrogate motherhood may be another reason: Kardashian got her body into shape with great difficulty after childbirth. And she obviously does not want to lose her slender forms. After all, her magnificent figure – the main source of Kim’s income.